Part one featuring the imports of Blackwater, Kia and Barako Bull can be read here. Part two with the imports of NLEX, GlobalPort and Purefoods can be found here. Part three contains the imports of Talk ‘N Text, Ginebra, and Rain or Shine and can be reached via this link. SLAM PH wraps up the last batch of the 2015 Commissioner’s Cup import profiles featuring Meralco’s, Josh Davis, and Alaska Ace DJ Covington. Philippine Cup titlist San Miguel Beer has no reinforcement to show for as of this posting, following original choice Arinze Onuaku’s decision to mull offers from NBA squads after his strong showing in the 2015 NBA D-League Showcase. One of the latest import signees, Josh Davis and his 6’8” frame is sure to bolster a relatively undersized Meralco Bolts frontcourt, which had to rely on the likes of Reynel Hugnatan and Cliff Hodge to do battle against some of the league’s giants in June Mar Fajardo, Greg Slaughter and Asi Taulava in the Philippine Cup. Though still learning the ropes as a young professional cager, Davis has already earned the distinction of being referred to as Kawhi 2.0 in reference to 2014 NBA Finals MVP and San Antonio Spur Kawhi Leonard. Aside from having the same playing style and hairdo such as Leonard’s, both Davis and the NBA star also suited up for San Diego State during their college days, where the former got his moniker. In his lone playing year for the Aztecs as a senior in 2013-14, Davis averaged 7.68 points and 10 boards in 34 games for the Steve Fisher-coached squad. Before moving over to San Diego State, Davis also saw action for North Carolina State and Tulane University. It was in Tulane where he had his best collegiate season as a junior in 2012-13. Starting all 35 contests, Davis averaged a double-double of 17.6 points and 10.7 rebounds while playing an average of 35.7 minutes a night. Suiting up for the Charlotte Bobcats in the 2014 NBA Summer League after failing to get drafted, Davis tallied 8.9 points and snagged 10.1 boards in 7 appearances. Impressed by his play in the summer league, San Antonio management named Davis to the Spurs’ team that participated in the 2014 NBA preseason. Davis last played for the Austin Toros in the D-League in which he averaged a double-double in 22 outings to the tune of 14 points and 10.5 rebounds, and was personally scouted by Bolts’ head coach Norman Black. It must be tough being part of the Alaska Aces organization these days. First, the team lost the Philippine Cup title by a whisker in a tightly fought seven-game series. Second, even though the team wantsedto get old hand Robert Dozier Jr. back to fortify their chances of winning the Commissioner’s Cup crown, they could not do so as the import was not given clearance by his Dubai team to re-join the Aces. DJ Covington understands the situation with Dozier not being able to suit up for his third stint with the Aces. But the second-choice import believes that he can deliver the goods for his team notwithstanding the fact that this is his first playing conference in the PBA. “I came here to do my job. I understand (Dozier) came in and played well before. It’s my first time here, so I understand that it’s more comfortable for many picking people who know how they’re going to play here already. But there’s no hard feelings for me. I feel like I’m a good player. I do have something to prove but that comes in playing with hard work. It’s just another day at the office, I guess, and I’ll just keep on playing basketball,” said Covington on the PBA website. 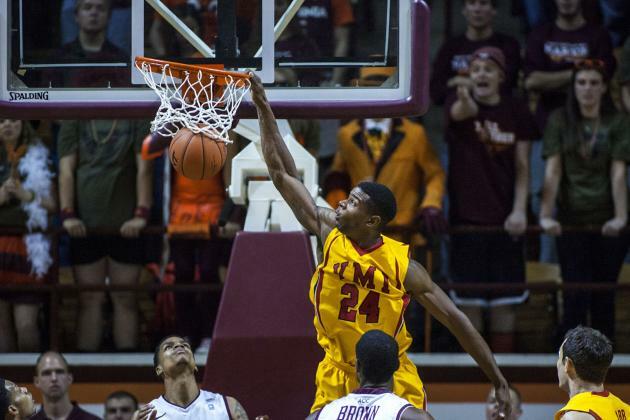 Playing all four years of college ball at the Virginia Military Institute (VMI) from 2010-14, the 6’9” forward averaged 13.2 points and 6.5 rebounds in 115 career games for the Keydets varsity. It was during his senior season that Covington had his best showing as a college basketball player by firing 20.1 markers while hauling down 9.3 boards and blocking three shots a game in 35 starts. Among the accolades received by Covington was being named as the Big South Freshman of the Year in 2011, and becoming a two-time Big South Defensive Player of the Year during his junior and senior seasons. He was also a member of the 2014 All-Big South First Team. Covington made his professional debut with Belgian club Excelsior (Basic-Fit) Brussels before joining the Alaska Aces.